The 17th annual San Diego Asian Film Festival kicks off today, Thursday Nov. 3, and continues until November 12. This showcase being the largest of Asian cinema on the west coast will show an impressive 140 films throughout six different venues. 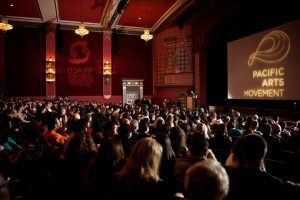 The festival got its start in 2000 at the University of San Diego, and since has developed into an event that has highlighted over 1,000’s of independent films. The festival represents over 15 countries, which cover numerous themes, like identity, belief, and what to do in the face of inequality. Films that explore various topics from mermaids and zombies to LGBT issues and immigration. Opening the festival at the Sherwood Auditorium in La Jolla at 7 p.m., we lead with “The Tiger Hunter” a comedy that takes place in the 1970’s, about a young man who moves from India to Chicago with a new job, a leisure suit, and a suitcase full of expectations. Lena Khan, the director, is one of several women whose movies will be featured and is also expected to attend the festival. The centerpiece film “AKA Seoul,” will screen at 5:30 p.m. Sunday, Nov. 6, at UltraStar Cinemas.This film by Jon Maxwell takes the audience on a journey of identity through the experiences of four adult Korean-American adoptees that arrive in Seoul, where their intricate identities grow from interacting with the city. Based off of a San Diego State University graduate and Korean adoptee, Dan Mathews, who told his story of meeting his birth family first in the film, “AKA Dan.” The director Jon Maxwell and documentary subject Dan Matthews are also scheduled to attend the event. Closing night of the festival is also set for Sherwood Auditorium with an 80-minute documentary by Oscar-winner Steven Okazaki called “Mifune: The Last Samurai.” Made in Japan and the United States, Okazaki pays homage to samurai film and samurai star Toshiro Mifune. Additionally the festival features an awards gala and after party at the Westin Gaslamp Quarter on Saturday, Nov. 5. 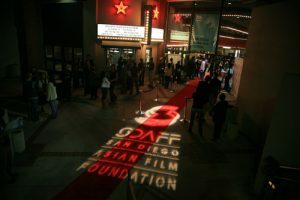 Celebrities, community and business leaders are expected to attend.Amongst the workshops, panels, live music, and the opportunities to meet other filmmakers, The San Diego Asian Film Festival is the perfect opportunity to experience a different culture and view films from around the world.